Eat Beyond Nourishment: Eats For Joy! Learn & Win with Electrolux’s #Discover-E & Instagram! 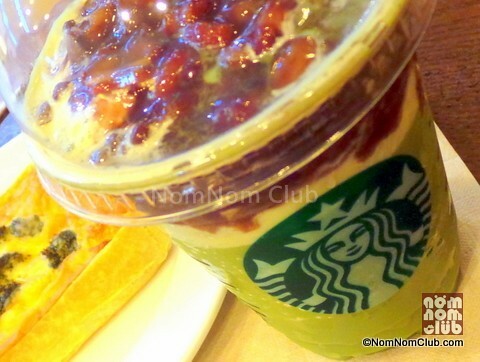 After almost a year now when it last came out, Starbucks’ Red Bean Green Tea Frappuccino is back together with another Starbucks returning favorite – the well-loved Mocha Cookie Crumble Frap. For the unfortunately unfamiliar, the Mocha Cookie Crumble Frap combines the goodness of Starbucks’ signature roast coffee and the classic Mocha Frappuccino® Blended Coffee. Add to that the lovely chocolate cookie bits. It is made with rich mocha sauce, vanilla syrup, milk and ice, topped with chocolate whipped cream, chocolate drizzle and a dash of cookie crumble. Price starts at P170 for the tall size, P180 for grande, and P190 for venti. Now, for my second all-time favorite (after Hojicha Tea Jelly) Red Bean Green Tea Frap blended beverage – it is your traditional finely-milled green tea called matcha combined with whole kernels of red azuki beans. The invigorating combination of green tea with the sweet- savory azuki beans give this beverage a rich distinct flavor that will be loved by everyone from children to adults. 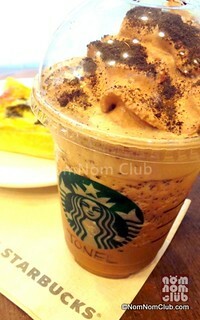 It is slightly cheaper that the Mocha Cookie Crumble at P160 for Tall, P170 for Grande, and P180 for Venti. Starbucks also came up with new food items including the Blueberry- Licious Cheesecake, German Pretzel, Grandma’s Classic Meatloaf On Brioche Bread, and Broccoli And Mushroom Quiche. 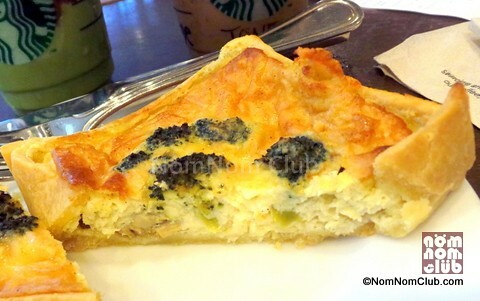 However, so far, we were only able to try the Broccoli And Mushroom Quiche(P95). Flavorful and packed with eggs, the unsweetened pastry combination of mushrooms and broccoli did not disappoint. The quiche goes well with both Starbucks returning favorite beverages mentioned above which are completely customizable as well. 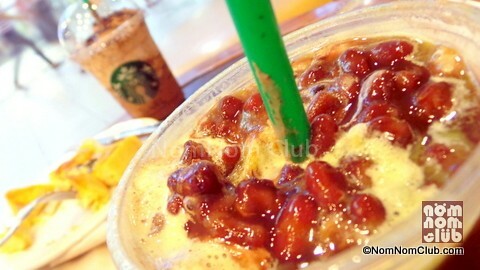 Make sure to try them soon as these beverage offering will last until July 14, 2013 only.